Mavis needs to come home with me. I will one day treat myself to one. Oh I hope you do! Mavis is one of my favorites! I don’t find the puppy creepy at all. 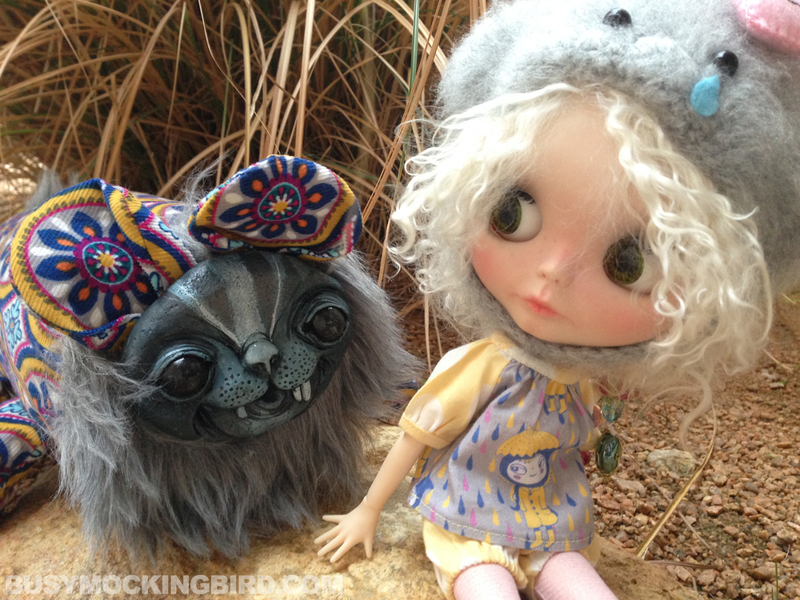 I have a Blythe doll, too. I knit some hats, scarves, and a couple coats, one of which I traded for a dress for her. I thought my little grand might be frightened by her but she’s not. She loves it when I change the eyes. How sweet! Yes the eyes are a big sell with Myla, too! Hugs are great! Thank you so much! Thank you so much, Trine! 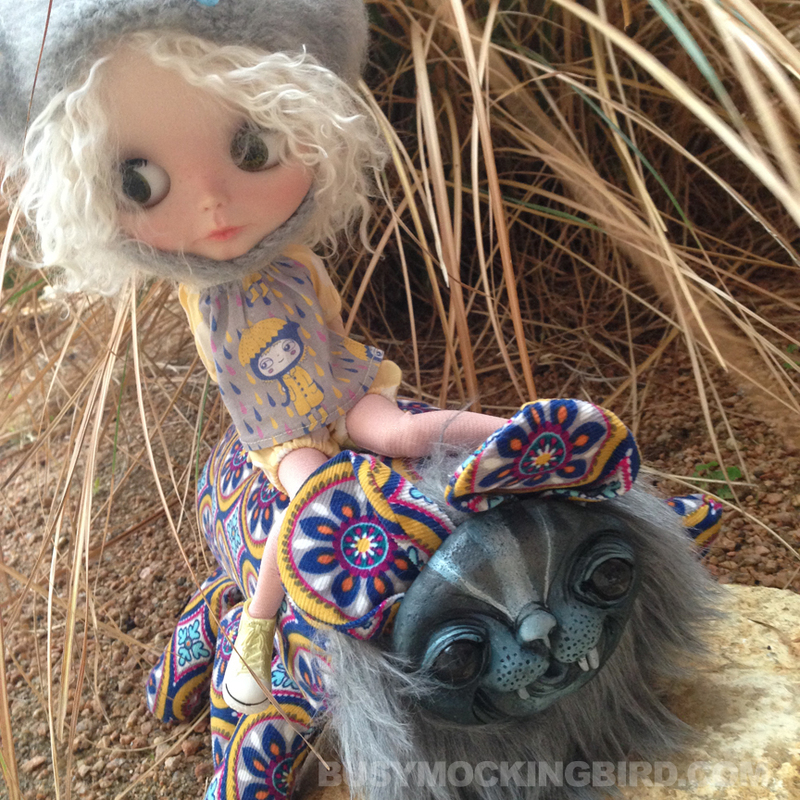 If you’d like to post it on my busymockingbird facebook wall, I’d love love LOVE to see Pippa riding Marshmellow!! !